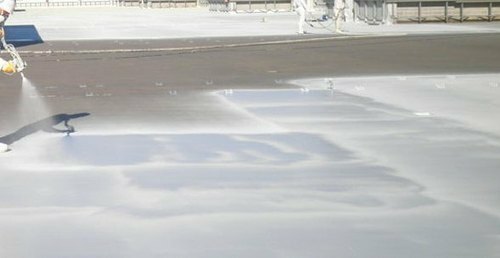 CETEX-ACC (Acrylic Curing Compound), when applied to freshly placed concrete, forms a membrane on fresh concrete surface to maximize water retention for better cement hydration and concrete strength. It is water based acrylic emulsion and can be diluted with water before use. Reduces surface shrinkage & cracks by eliminating moisture loss from surface. Reduces surface dusting, as capillary migration of water to surface is eliminated. Non-yellowing, water-based compound that cures & seals concrete in an application. Reduces cost of manpower and supervision cost compared to conventional ponding. Eliminates the need of damp hessian, sand or plastic for curing or surface protection. Rapid film formation; enables concrete to hydrate more efficiently. It is economical to use and for large areas may work out cost effective. Ideal for application on interior, exterior, horizontal, and vertical concrete surfaces. Tough & durable finish, offers improved resistance to chemicals, and abrasion. Resists adhesion of mortar droppings to protect concrete floors during construction. Non flammable, Non toxic, very low VOC, conforms to green building norms. 1 kg will cover 50 -100 Sq. ft.(approx.) depending on surface condition, dilution and application . CETEX-ACC can be diluted with clean and soft water in equal proportion by volume and mixed thoroughly before application. Where thicker film is required, then it can be used directly. It can be applied by spray or by brush. The compound should be applied as soon as possible after the concrete is free of surface water. For large area spray application is preferred. Nozzle of spray should be at approx. 450mm above the surface. CETEX-ACC is available in 50kg or 210 kg pack. CETEX-ACC has self life of 12 months. Store it in frost-free condition away from sunlight or extreme heat. Keep the container airtight to prevent surface evaporation. Waltar Enterprises - WE offers a diverse portfolio of construction fibers and chemicals that represent the most comprehensive solutions to concrete's shortcomings. After lot of innovations and field trials, WE have solutions that offer performance benefits over the entire life span of concrete like simplifying placement, water-proofing, minimizing cracks in the plastic state, controlling cracks in the hardened state, higher strength concrete and providing years of exceptional durability. WE, an ISO Certified company, is managed by a team of technical qualified and experienced persons. b) Lithium Silicate:- Smallest stable silica on earth suitable to densify and improve surface impermeability and many more. c) Potassium Lithium Silicate:- One of the few manufacturer of the product worldwide. d) Micro-Silica:- For high strength concrete and economical compared other competitors. e) Nano-Silica:- One of the first producers of this product for concrete industry, suitable for very high strength, not possible by conventional methods. f) Potassium Silicate:- It is convenient source of potassium for plant nutrients.